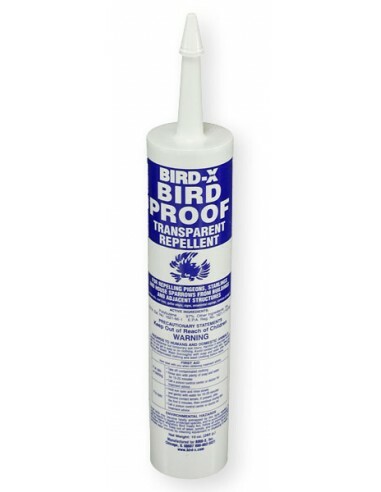 BIRDS CAN'T STAND THEIR "LANDING STRIP" WHEN YOU'VE APPLIED BIRD-X BIRD-PROOF GEL ! PROTECT YOUR PROPERTY FOR A FULL YEAR OR LONGER! * Non-toxic and harmless to metal structures, sealed masonry and ornamental metals. * Use in any weather, indoors or outdoors! 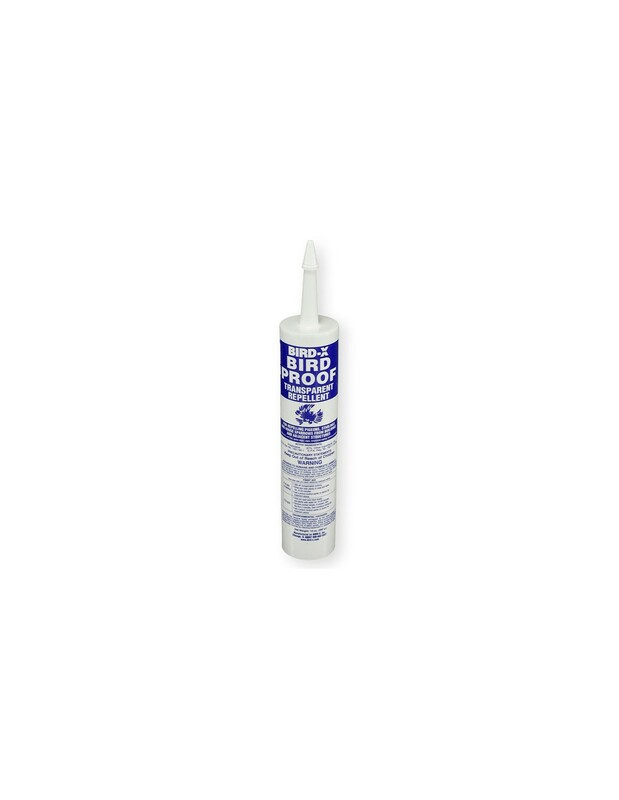 * APPLY WITH A STANDARD 10" CAULKING GUN! Ledges, windowsills, gutters, cornices, ornamental copings and protruding beams - any surface where birds roost or perch. USE IN ANY WEATHER, INDOORS OR OUTDOORS, VIRTUALLY ANYWHERE! Water tanks, trees, shrubbery, shipping docks and railroad sidings, yards, parking lots, roof perimeters, air conditioners and more.